KAMPALA (@UG_EDGE) – David Himbara, an educator, author and professor of international development, has criticised Rwandan media for staying silent while important people are disappearing mysteriously in President Kagame’s regime. 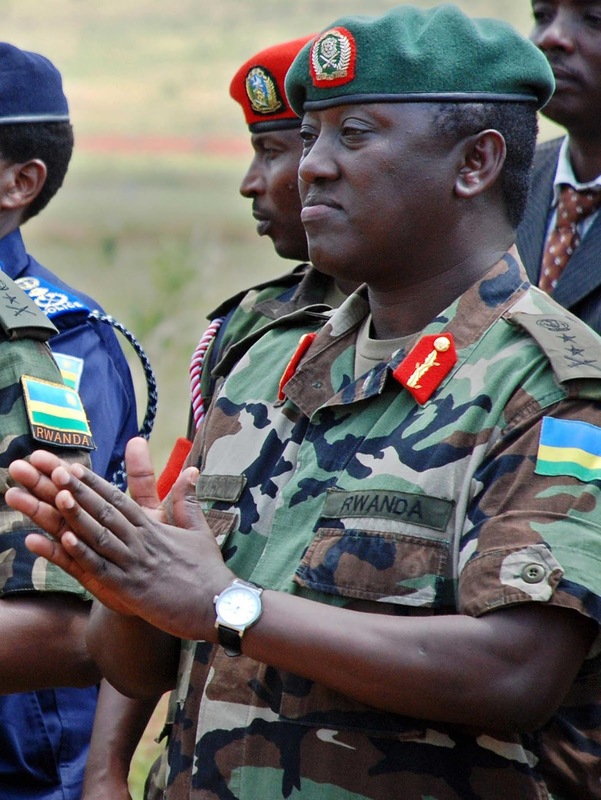 Himbara, a Rwandan based in Toronto, Canada wrote on his blog medium.com about the disappearance of General Karenzi Karake, a former chief of National Intelligence and Security Services (NISS), former deputy commander of AU/UN Hybrid Operation in Darfur (UNAMID). Karake who served as a Security and Defence Advisor to President Kagame disappeared at the same time Dennis Karera — a former military/police officer-turned businessman also went missing. “Prominent people keep disappearing in Kagame’s Rwanda. Media in Rwanda is silent about this. The source of the news on the disappearances is outside Rwanda,” Himbara pointed out. According to a Ugandan online website Chimpreports, the families of the disappeared have no idea where these men are. Rwandan security organs say they do not have these two. ”Karera and Karake, who have been friends since their time in the early days of the RPF struggle that brought President Paul Kagame to power, are said to have made discomforting remarks Rwanda’s attitude towards Uganda. In their alleged meeting, they reportedly said Uganda and Rwanda were so interconnected hence the need to maintain good bilateral relations,” the report stated. Great Lakes voice.com reports that former deputy IGP Karera also Managing Director of Kigali Heights building was reportedly behind the scheme to sabotage Chinese tech giants Huawei technologies. His arrest came after continued complaints by the Chinese government to President Kagame with latest being on China’s president Xi Jinping recent visit to the country where he asked his counterpart why his government continue to frustrate the Chinese tech giants in their bid to do business in the country contrary to the memorandum of understating between the two parties. The seemingly disturbed Kagame is said to have told Jinping he would solve the problem with immediate effect hence ordering for the arrest of anyone involved. The memorandum of understanding was signed when president Kagame was on state visit in China. This sabotage forced the people at the Kigali offices which are located in Kigali heights on 5th floor to report back to the headquarters. On her visit to Rwanda, the company’s Senior Vice President of Huawei Ms. Lin Ruiqi relayed her complaint to President Kagame who in turn assured her that his government would support Huawei in Building ICT infrastructure. However these frustrations continued which forced Huawei to halt most of their work and recall some of it workers back home. Karera allegedly fraudulently acquired 10% stake in fusion capital that runs Kigali Heights. Fusion capital with offices in Kigali, Nairobi and Manchester in UK is apparently owned by British Foreign intelligence.